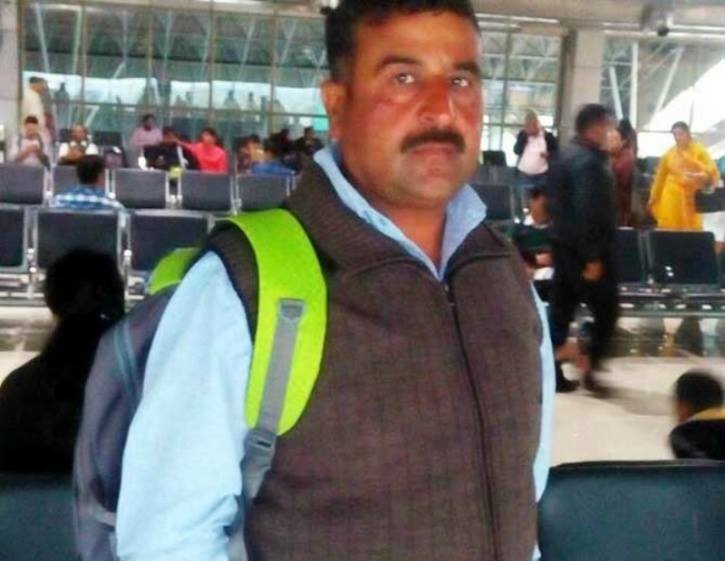 Subedar Bhoop Singh Gujjar hailed from Kherla village in Dausa district of Rajasthan. Born in the year 1971, Sub Bhoop Singh had joined the Army in 1992 at the age of 21 years and was inducted into the Corps of EME. Son of Sri Rajhans Gujjar, a farmer, Sub Bhoop Singh always nursed the idea of joining the Armed Forces since his childhood. After completing his training, he served in numerous Army bases during his service career of over 24 years. Sub Bhoop Singh’s son Vishvendra also followed in the footsteps of his father and joined the Army. 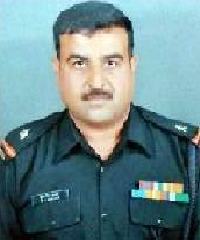 During 2017, Sub Bhoop Singh as well as his son were serving with units deployed in J & K area. 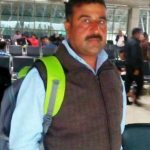 Sub Bhoop Singh’s unit was based in Kupwara district along the LOC. During 2017, Subedar Bhoop Singh’s unit was based in the Army garrison located at Panzgam in Kupwara district, about 120 km from Srinagar. Kupwara is one of the most frequented infiltration routes used by militants to cross the Line of Control, especially after the snow starts melting. On 27 Apr 2017, three armed militants descended down the wooded mountains and tip-toed towards the Army garrison at Panzgam at 4.30 am. They hurled grenades and started indiscriminate firing after cutting through two barbed wire fences from the rear side of the camp. When they began cutting the fence, soldiers on duty noticed the suspicious activity and challenged them. The three militants taken by surprise fired at the guards and tried to rush towards the living quarters. Capt Ayush Yadav from 310 Med Regt was woken up by the deafening sound of gunfire and sensed something ominous. He threw his blanket away , grabbed his AK 47 and rushed out. Capt Ayush Yadav engaged the terrorists and didn’t allow them to proceed towards the living quarters. This provided the crucial time for the quick reaction team to organize themselves and take on the terrorists. A fierce gun battle ensued thereafter wherein two terrorists were eliminated. 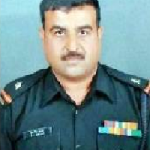 However, Sub Bhoop singh and Naik Bhoota Venkata Ramana got severely injured during the exchange of fire and later succumbed to their injuries. Capt Ayush Yadav also succumbed to his injuries and was martyred along with these brave hearts. 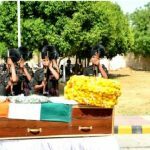 Sub Bhoop Singh was a valiant and dedicated soldier who laid down his life in the service of the nation. Sub Bhoop Singh is survived by his parents, wife and two sons. Many salutes to the fallen soldier. The country is indebted to you sir.